Your hospice needs you! - Challenge yourself for a good cause! Is 2013 your year to take on a challenge? Last year fundraiser Andrew Bridge from Accrington took on his own personal challenge. 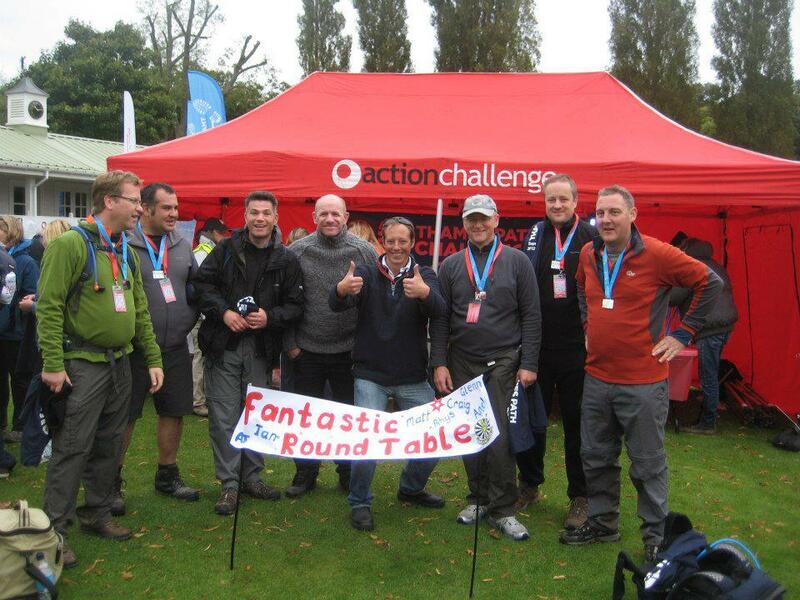 "Last September I completed the inaugural Thames Path Challenge with 7 fellow members of Round Table, aiming to complete 100km in 24 hours. Spirits were high and the weather was great, which made the first half seem like a bit of a doddle. We'd all managed to stick together and support each other, and reached the 31 mile mark in 10 and a half hours. After this it became a little more difficult. 2 of the team dropped out after 66km, one with bad blisters and another with general fatigue. A third dropped out at 75km with split and bleeding heels. The remaining 4 of us battled through freezing mist and temperatures, muddy paths, and useless head torches, as well as aches, pains and blisters. It was a relief when the sun came up and we could look around at the fantastic countryside. The last 12km were very difficult and very slow – it felt like we’d never get to the finish at Henley on Thames. But after 23 hours and 30 minutes we crossed the finish line with an emotional welcome from family and friends. The overriding factor that kept me going was thinking about the hard work of the East Lancashire Hospice and the people I would be supporting as a result of the sponsorship I had raised. It was a huge challenge that I remember with fondness and helped me to achieve something that I had wanted to do for some time. If you're looking for an event that challenges you mentally and physically, I would recommend you try the Trans Pennine Challenge - trust me, you'll never forget the experience!" Andrew (3rd from left) celebrating the end of his mammoth walk.